This article was originally published by the Danish Institute for International Studies (DIIS) on 20 March 2019. 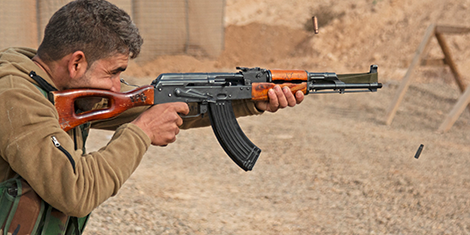 The broad definition of the term ‘foreign fighter’ causes operational problems for risk assessments. It is therefore important for security officials to identify significant variations by classifying actors into major categories. 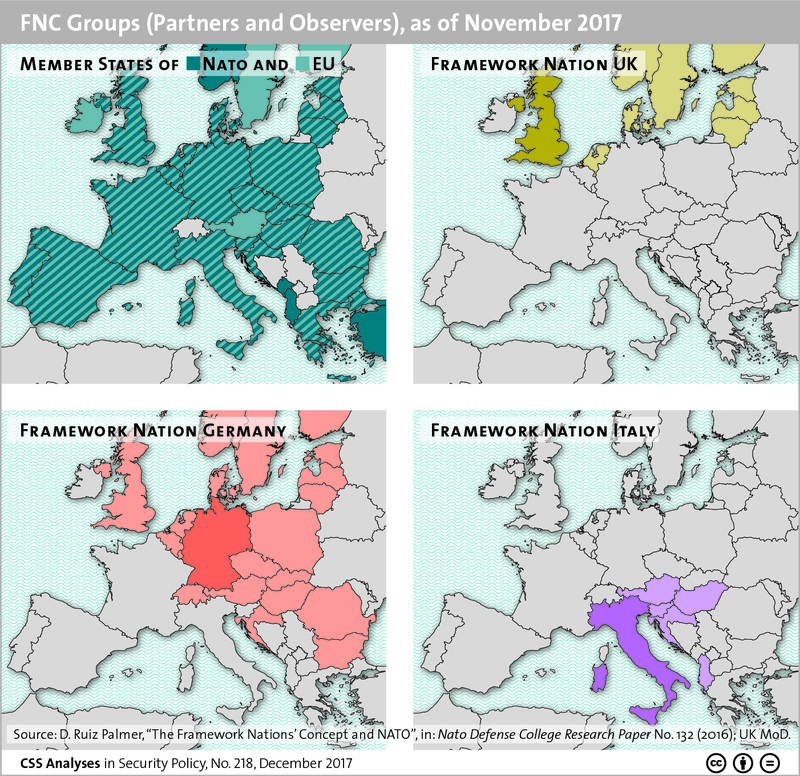 This graphic features the different groups in NATO’s Framework Nations Concept (FNC) to highlight the trend of regionalization within NATO. But what does the FNC, with its emphasis on national sovereignty, actually mean for defense cooperation? See Rainer L Glatz and Martin Zapfe’s CSS Analysis in Security Policy here. For more CSS charts and graphics, click here. Image courtesy of Joshua Ives/DVIDS. This article was originally published by the United State Institute of Peace (USIP) on 14 March 2019. As the international community works to prevent new generations of radicalization in war-torn regions, debate focuses often on the problem of people uprooted from their homes—a population that has reached a record high of 68.5 million people. Public discussion in Europe, the United States and elsewhere includes the notion that displaced peoples are at high risk of being radicalized by extremist groups such as ISIS. Scholars and peacebuilding practitioners have rightly warned against such generalizations, underscoring the need to learn which situations may make uprooted people vulnerable to radicalization. 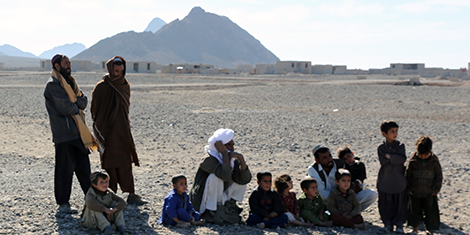 A new USIP study from Afghanistan notes the importance of specific conditions faced by displaced people—and it offers indications suggesting the importance for policy of supporting early interventions to stabilize the living conditions of displaced people after they return home. 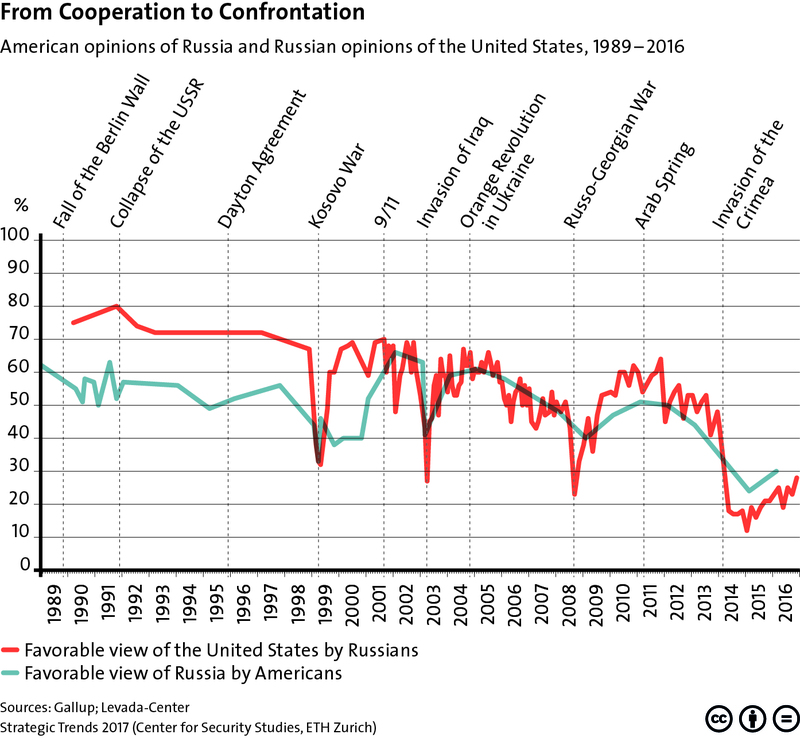 This graphic tracks how American opinions of Russia and Russian opinions of the United States have developed over time. To find out more about how these developments influenced Europe’s post-Cold War security architecture, see Christian Nünlist’s chapter in Strategic Trends 2017 here. For more CSS charts, maps and graphics, click here. 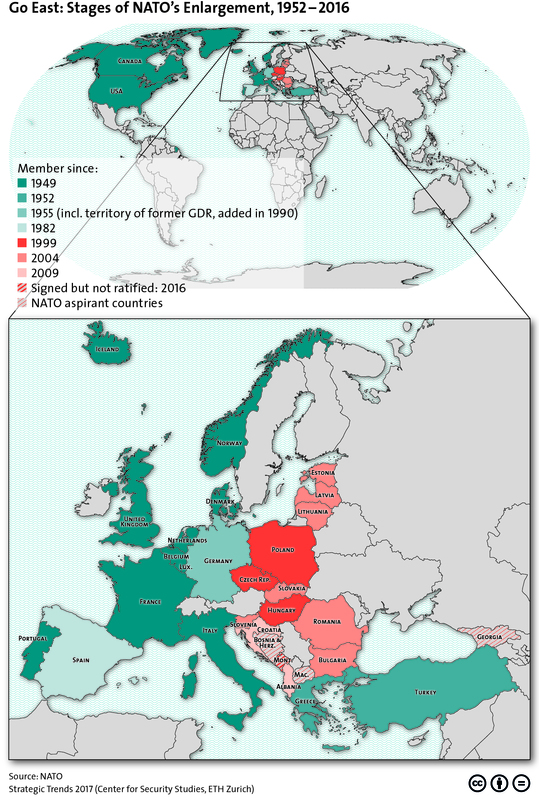 This graphic tracks the stages of NATO’s eastern enlargement since 1952. To find out more about Europe’s post-Cold War security architecture, see CSS’ Christian Nünlist’s chapter in Strategic Trends 2017 here. For more CSS charts, maps and graphics on economics, click here.